If you watch the news or read the newspaper, it can be difficult to keep up with the state of the economy. Over the last century, the real estate market has had its share of ups and downs, none as dramatic as the highs and lows experienced during the past decade. However, the pendulum is on its way back, signaling the recovery of the housing market. Although the housing slowdown has fostered anxiety among investors and homebuyers alike, real estate has been, and will continue to be, a good long-term investment. To help separate fact from fiction I’m attaching timely information about the historical trends that have shaped the real estate market over the last century and offer valuable insight into its recovery. 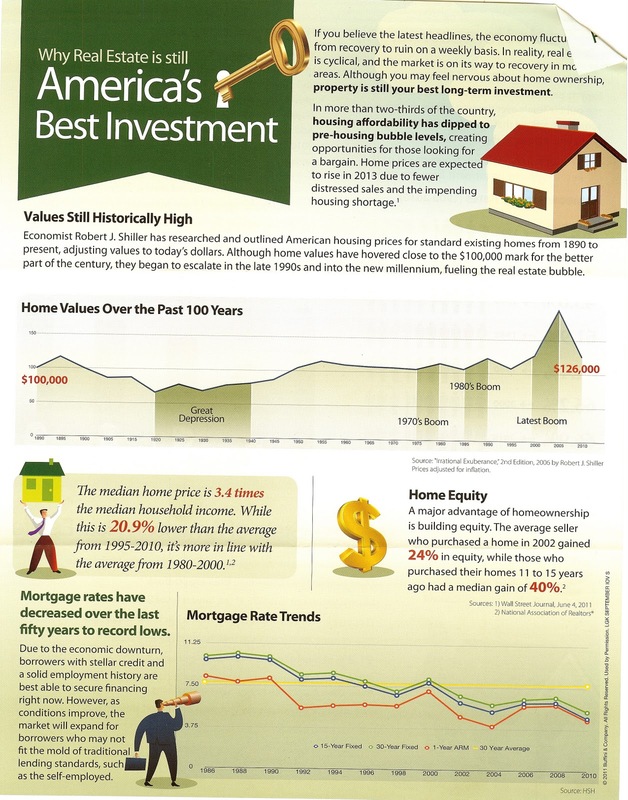 The first page provides an outline of historical trends in home values, mortgage rates and home equity over the last century. 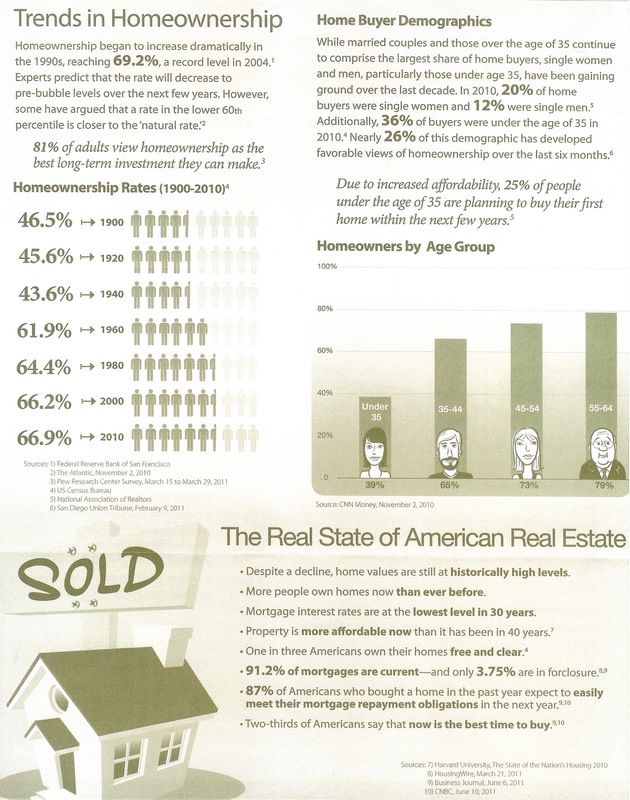 Page two gives an overview of homeownership trends and demographics. Feel free to share this information with your family or friends who are looking to buy a home. I’m always available to answer any questions you may have regarding the local real estate market. If you know of someone who would appreciate the level of service I provide, please call me, email me, tweet me or message me on Facebook and/or LinkedIn with their name and business number. I’ll be happy to follow up and take great care of them.